Californians endure a crumbling infrastructure, pay outlandish housing and energy prices while paying high taxes, all to maintain an education system that is failing all too often. Rather than posture and scream, it would be better if California’s leaders focused instead on what is happening to our state and address aggressively the prospects for improving things for the next generation. 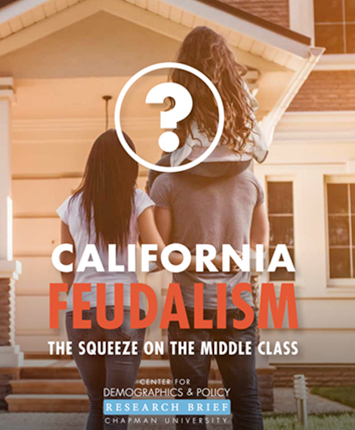 Joel Kotkin and Marshall Toplansky explore the challenges and solutions in California Becoming More Feudal, With Ultra-Rich Lording Over Declining Middle Class, a research brief from Chapman University’s Center for Demographics and Policy. How can Orange County become a better place to live for all of its residents? 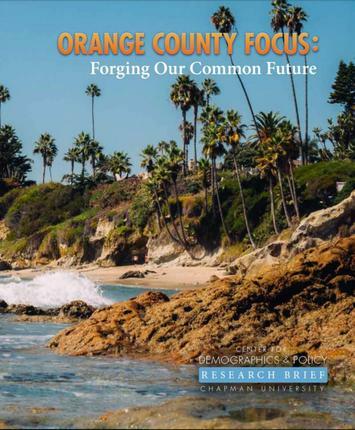 Joel Kotkin and Marshall Toplansky explore the challenges and solutions in Orange County Focus: Forging Our Common Future, a research brief from Chapman University’s Center for Demographics and Policy. 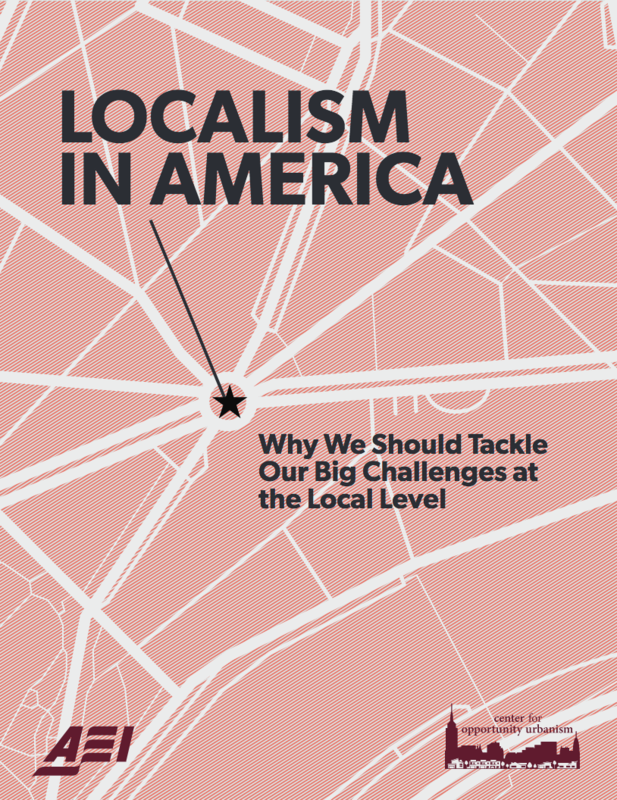 Edited by Joel Kotkin and Ryan Streeter, a new report on “Localism in America” is a collection of essays from AEI and the Center for Opportunity for Urbanism. The report highlights ideas and proposals from writers of diverse ideological backgrounds about the promise and limits of taking on big challenges at the local level. restore The California Dream for the next generation. The greatest test America faces is whether it can foster the kind of growth that benefits and expands the middle class. To do so, the United States will need to meet three challenges: recover from the Great Recession, rebalance the American and international economies, and gain access to the global middle class for the future of American goods and services. The fulcrum for meeting these challenges is the combination of industries and resources concentrated in the New American Heartland, the center of the country’s productive economy. A Special Report by Joel Kotkin with Wendell Cox. 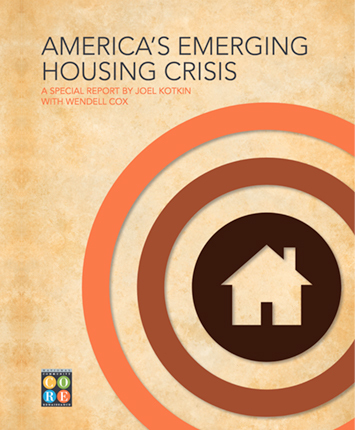 The groups most likely to be hurt by the shortfall in housing include young families, the poor and renters. These groups include a disproportionate share of minorities, who are more likely to have lower incomes than the population in general. 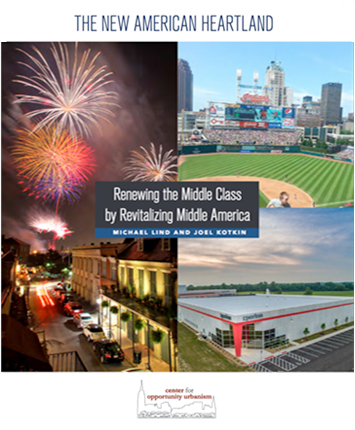 Do the middle class and working class have a future in the Southland? If they do, that future will be largely determined in the Inland Empire, the one corner of Southern California that seems able to accommodate large-scale growth in population and jobs. 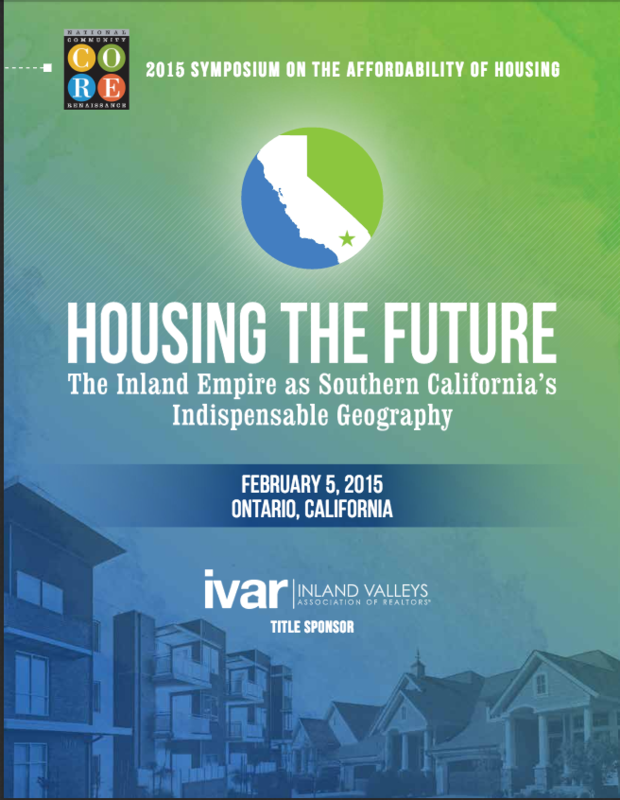 If Southern California’s economy is going to grow, it will need a strong Inland Empire. The calculation starts with the basics of the labor market. Simply put, Los Angeles and Orange counties mostly have become too expensive for many middle-skilled workers. The Riverside-San Bernardino area has emerged as a key labor supplier to the coastal counties, with upward of 15 percent to 25 percent of workers commuting to the coastal counties. 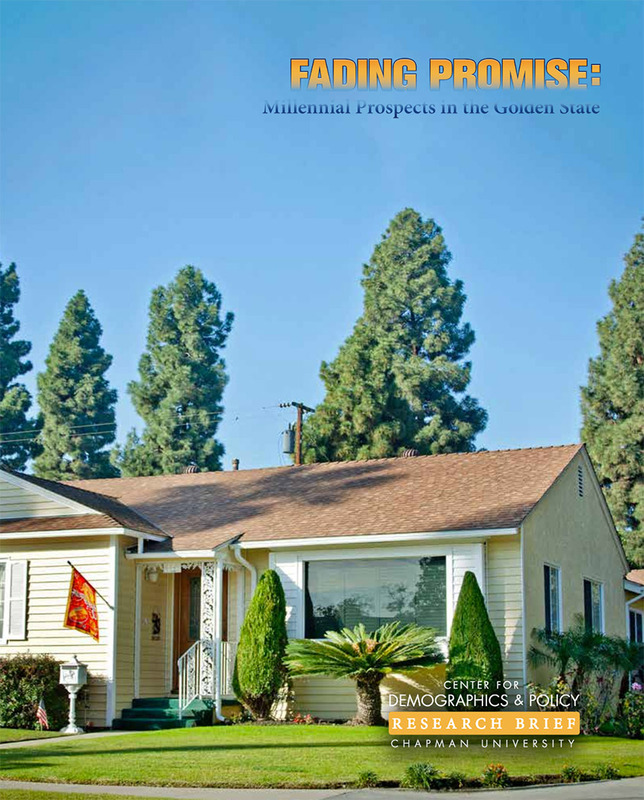 In a new report recently released by National Core, a Rancho Cucamonga nonprofit that develops low-income housing, I and my colleagues, demographer Wendell Cox and analyst Mark Schill, explored the challenges facing the region. Although we found many reasons for concern, the region’s overall condition and its long-term prospects may be better than many might suspect. Over the past decade, we have witnessed the emergence of a new urban paradigm that both maximizes growth and provides greater upward mobility. 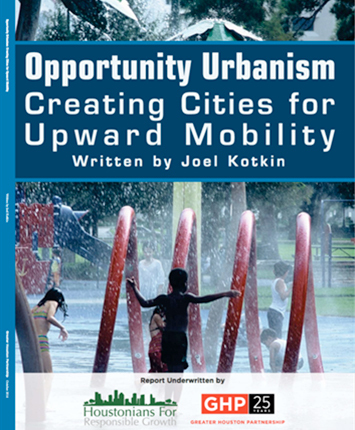 We call this opportunity urbanism, an approach that focuses largely on providing the best policy environment for both businesses and individuals to pursue their aspirations. 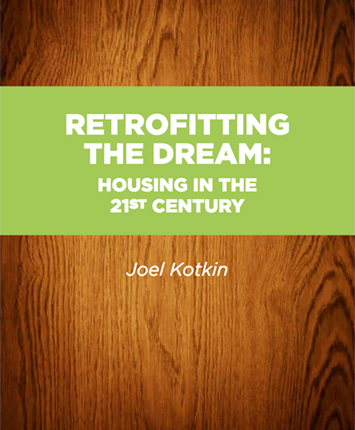 This is the introduction to a new report commissioned by the Greater Houston Parnership and HRG and authored by Joel Kotkin with help from Tory Gattis, Wendell Cox, and Mark Schill. In recent years a powerful current of academic, business, and political opinion has suggested the demise of the classic American dream of home ownership. The basis for this conclusion rests upon a series of demographic, economic and environmental assumptions that, it is widely suggested, make the single-family house and homeownership increasingly irrelevant for most Americans. Yet despite this growing “consensus” about the future of housing and home ownership, our analysis of longer-term demographic trends and consumer preferences suggests that the “dream,” although often deferred, remains relevant. In this urban age, it’s a question of crucial importance but one not often asked. 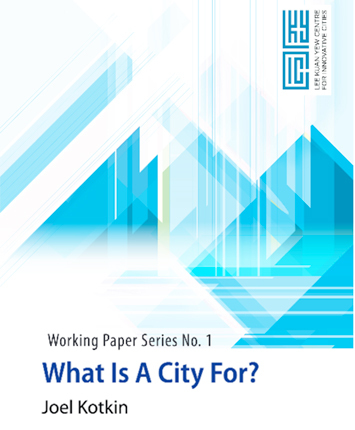 Long ago, Aristotle reminded us that the city was a place where people came to live, and they remained there in order to live better, “a city comes into being for the sake of life, but exists for the sake of living well” (Mawr, 2013). I start at a different place. I view “living well” as addressing the needs of future generations, as sustainability advocates rightfully state. This starts with focusing on those areas where new generations are likely to be raised rather than the current almost exclusive fixation on the individual. We must not forget that without families, children, and the neighborhoods that sustain them, it would be impossible to imagine how we, as a society, would “live well.” This is the essence of what my colleague, Ali Modarres and I call the ‘Human City’. Is the rise of childlessness humanity’s future? The research presented in the report was undertaken to look into the causes, economic and social implications of childlessness, especially in high income nations. The research made extensive use of both primary and secondary data, including the landmark work of Wolfgang Lutz, as well as extensive reading on the history and trajectory of the family around the world. This was conducted primarily by Joel Kotkin and Zina Klapper. We also relied on extensive interviews of residents of Singapore, and arranged discussions with experts working in this field. costs, even successful places like Singapore face this same crisis in the forseeable future. Since the beginnings of civilization, cities have been the crucibles of progress both for societies and individuals. A great city, wrote Rene Descartes in the 17th Century, represented “an inventory of the possible”, a place where people could create their own futures and lift up their families. 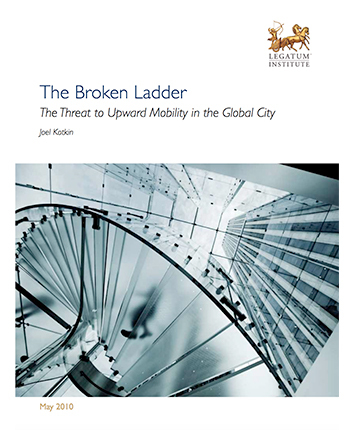 In the 21st Century – the first in which the majority of people will live in cities – this unique link between urbanism and upward mobility will become ever more critical. Cities have become much larger. In 1900 London was the world’s largest urban center with seven million people. Today there are three dozen cities with larger populations.